Anyone concerned that the rumbling battle over Skype between its builders, current owners and potential buyers would lead to the threatened service shutdown can rest easy now that the feud has been settled. Founders Niklas Zennstrom and Janus Friis have agreed to drop their legal action against current owner eBay in return for a 14 per cent stake in Skype in a deal with an investment group that has agreed to buy the internet telephony venture. 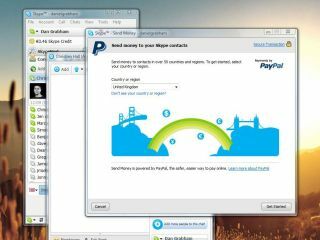 Friis and Zennstrom had claimed eBay broke the licensing deal for the underlying VoIP software powering Skype by altering it and selling it on to the investment group. Amid legal filings and counter-filings galore, the entire saga was beginning to cast a shadow over what had been a relatively successful business for eBay since its 2005 purchase for $2.6 billion (£1.6 billion). Now that the deal can go ahead for $2 billion (£1.2 billion), it represents success for both Skype users and eBay, which had been forced in 2007 to write down the value of its initial investment to just $1.2 billion (£722 million).